The price tag keeps soaring for the 2020 Tokyo Olympics despite local organizers and the International Olympic Committee saying that spending is being cut. A report just released by the national government's Board of Audit shows Japan is likely to spend $25 billion to prepare the games, and the final number could go even higher. This is nearly a four-fold increase over Tokyo's winning bid in 2013, which the report said projected costs of 829 billion yen, or $7.3 billion at the current exchange rate of 113 yen to the dollar. Tracking Tokyo costs is getting more difficult as work speeds up, deadlines near, and disputes arise about what are - and what are not - Olympic expenses. Complicated accounting also makes it difficult to figure out who pays for what, and who profits. Flyvberg said the study failed to ''find even one'' Olympics that came in on or below budget. Tokyo is a case study. 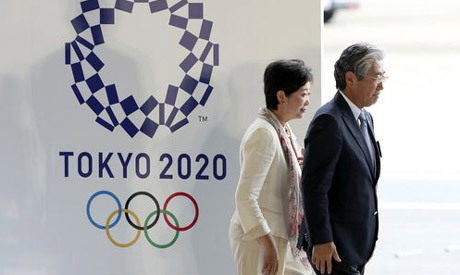 In December, the Tokyo organizing committee said the Olympic budget was 1.35 trillion yen, or about $12 billion. This consisted of equal contributions of 600 billion yen ($5.3 billion) from the organizing committee and the Tokyo metropolitan government, with another 150 billion yen ($1.3 billion) coming from the national government. But a month later, Tokyo Governor Yuriko Koike said the city needed to chip in an added 810 billion yen ($7.2 billion) ''for projects directly and indirectly related to the games.'' She said this included building barrier-free facilities for Paralympic athletes, training programs for volunteers, and advertising and tourism plans. This raised the overall costs to 2.16 trillion yen, or about $19.1 billion. Flyvberg credited organizers of recent Olympics with trying to control costs, but tight Olympic deadlines make it difficult. Other large building projects can be pushed back a few months. Not the Olympics. He also said it was inefficient for different cities to keep organizing the games. ''All you can do when problems begin - and problems always begin on projects of this size - is to throw more money at the project,'' Flyvberg said. Another Tokyo cost increase popped up a few days ago. A 178-page report by the Board of Audit said the national government's share of spending had increased to 801 billion yen ($7.1 billion) from the $1.3 billion estimated back in December. This brings total spending to 2.81 trillion yen, or just under $25 billion, with suggestions it could reach 3 trillion when the games open in just under two years. The report urged organizers, the Tokyo city government, central government, and local agencies to increase transparency. In a statement Tuesday to the Associated Press, local organizers again disputed what should be called Olympic costs. Spokesman Masa Takaya said expenditures listed such as ''inbound tourism, road constructions, subsidy for creating a hydrogen society, and even improving accuracy of weather forecasts with better satellites,'' should not be considered Olympic expenses. The audit report also faulted Tokyo organizers for excluding other expenses from the budget. The report said these came to about 650 billion yen ($5.6 billion) and included things like: repairs to existing buildings; security costs; the cost of running doping facilities. About 80 percent of the $25 billion will be taxpayer money. The rest - about $5.3 billion - comes from the privately funded operating budget. This budget receives $1.7 billion from the IOC with the rest coming from sponsors, merchandising and ticket sales. Tokyo organizers say they have saved billions in the last several years by using existing venues, holding shorter test events and by making other cuts in construction.